At Comrex, we often hear about great and exciting new ways that broadcasters are using our gear to reach out to their listeners. A few years ago we had a Morning Show presenter that broadcast his show from a bicycle in the Netherlands. Just yesterday, we found out that a whole breakfast team in Perth, Australia mounted their bikes and took to the road and broadcast their show during a 90k Bike-A-Thon to benefit the Princess Margaret Hospital. 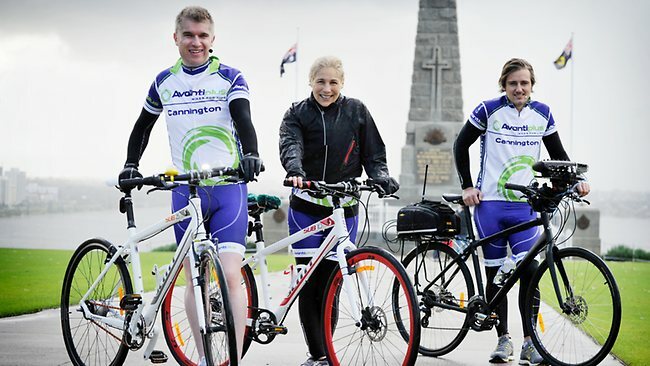 The 92.9FM Breakfast Team of Lisa, Paul and Baz set out with an initial goal of $5000 but ended up raising well over $30,000. You can read the story on the local Perth Now website. But serious credit needs to be given to station engineer Dan Jackson for tricking out his bike and turning it into a complete mobile studio! You can also listen to a Podcast of the broadcast which utilized a Comrex ACCESS IP Codec with Mixer transmitting over 4G Wireless back to the studio. You can see the photos of their ACCESS setup below. 92.9 FM hosts Paul Hogan and Lisa Fernandez prepare for their live "Bike-A-Thon" broadcast with the help of station engineer Dan Jackson. What a great cause and what an incredible remote! Good on ya, mates! Thanks for taking Comrex along for the ride. Listen to a podcast of the broadcast HERE!